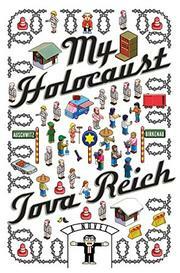 A harshly provocative satire on the commodification of the Holocaust and competition for greater victimhood. Reich (The Jewish War, 1995, etc.) brings a relentlessly withering judgment to bear on the proliferation of museums, elites and status claims that have sprung from the Shoah. Less a story, it’s more a farcical parade of clamoring self-deluders, appropriators, manipulators and fools, connected by blood or history or circumstance. The novel’s first two thirds are set at Auschwitz, a site now hopelessly debased by familiarity and insincerity, where bored guides drone statistics, Zen masters seek awareness and Poles rifle the ash pits for fertilizer. Here, irrepressible (and fraudulent) survivor Maurice Messer, late of Holocaust Connections, Inc., now the president-appointed chairman of the United States Holocaust Memorial Museum in Washington, taps his latest wealthy victim for funds. Maurice’s granddaughter is one of many third-generation children who have turned their back on family history, in her case by joining the Carmelite nuns in their convent outside Auschwitz’s gates. Later, in Washington, a group including several disaffected young people seizes the Holocaust Museum in the name of the United Holocausts coalition, consisting of Native Americans, African-Americans, Palestinians, women, Tibetans and many more. Outside, a real survivor (with a tattoo to prove it) observes: “We have been greedy for the spoils of our suffering. . . . We have let ourselves be seduced by power and profit . . . so that our entire enterprise has become fatally tainted.” Reich’s scathing critique expels some powerful darts of wit and perception from its arsenal of absurd characters, extreme points-of-view and acidic commentary, and concludes with a sly nod toward how certain survivors might operate. An exceptionally sacred cow is slaughtered by a clever but monotonous barrage of words.